These hot dipped 10 quart galvanized buckets feature a durable backbone made of a reinforced wire rim, heavy-duty body swedges, offset steel bottom, and a durable metal handle. Our 10 quart galvanized metal buckets are corrosion resistant and watertight. They can be used to harvest and carry garden vegetables for many seasons, or to make short work of clutter. You can even use them in your garage to store larger tools like levels and hammers. 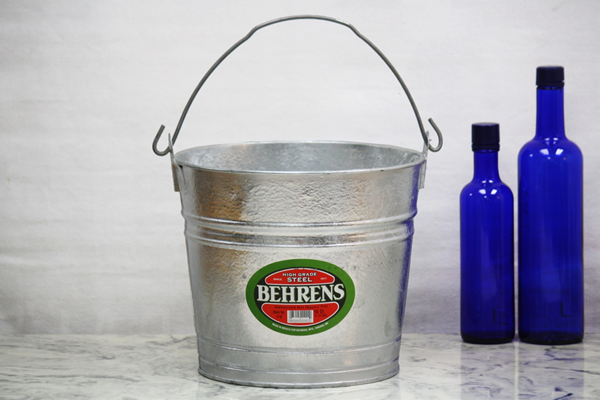 We offer this hot dipped galvanized steel bucket in 8 quart, 12 quart, and 14 quart sizes. See the smooth finish 10 quart galvanized bucket here. I was surprised when I called in to ask a few questions. I got to talk to a real person with out waiting. Love this site.